Azerbaijan State Academic Opera and Ballet Theater will stage "Il Trovatore" opera by Giuseppe Verdi on December 23. "Il Trovatore" is considered the treasury of the world opera. The opera enjoys great popularity among opera lovers and gathers a large audience. People's Artist of Belarus, laureate of the State Prize of Belarus Anastasia Moskvina (Leonora) will take part in the opera, Day. Az reported. The soloist of the Mannheim National Opera (Germany), the People's Artist of Azerbaijan Aviaz Abdullayev will play the role of Count di Luna. The soloists also include Honored Artists of Azerbaijan Farid Aliyev (Manrico), Akram Poladov (Ferrando), Aliakhmad Ibrahimov (Ruiz), Nina Makarova (Azucena ) and Sabina Ahmadova (Ines). The performance will be conducted by Honored Artist of Azerbaijan Eyyub Guliyev. 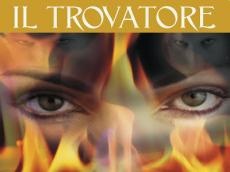 "Il Trovatore" is an Italian opera in four acts. The music was written by Giuseppe Verdi. The story and words were written by Salvatore Cammarano. It is based on Antonio Garcia Gutiérrez's El Trobador. The opera was first performed in Rome on January 19, 1853. The action is set in the environs of Zaragoza, the capital of the Kingdom of Aragon, and in the mountains of Vizcaya (Biscay), around 1412. Brilliant vocal lines and a unique plot conquered the hearts of spectators around the world.